School should be a joyful place. 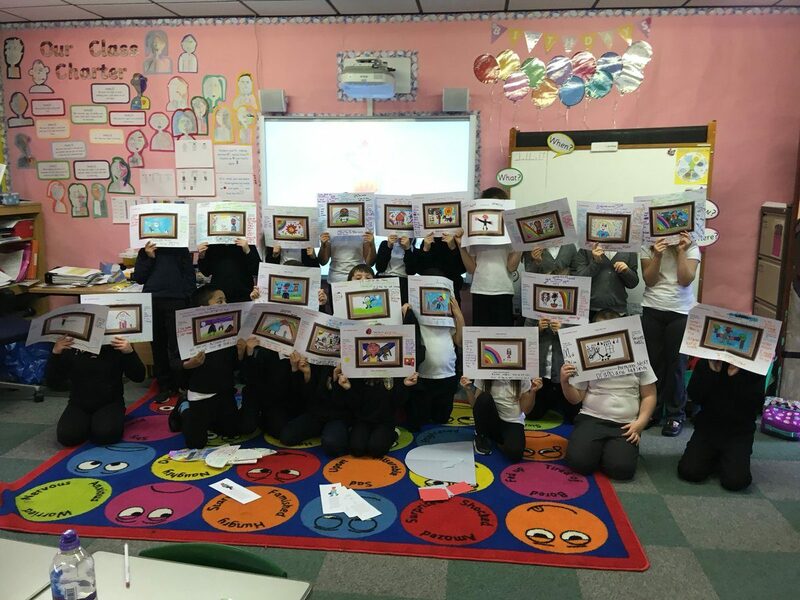 Children in Aberdeen have told Children’s Parliament that being complimented helps them learn as it makes them feel good about themselves. 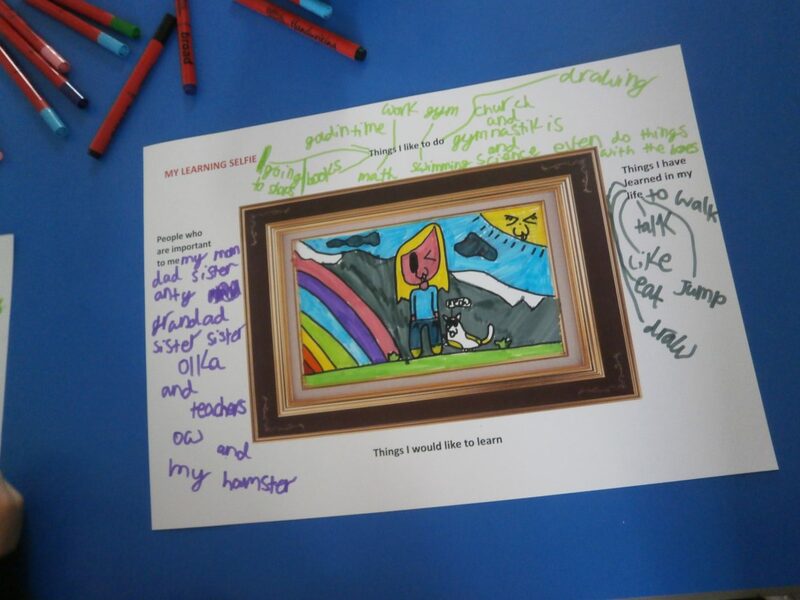 Praise poems are a way of recognising children’s talents, positive attributes and the learning treasures they already possess. 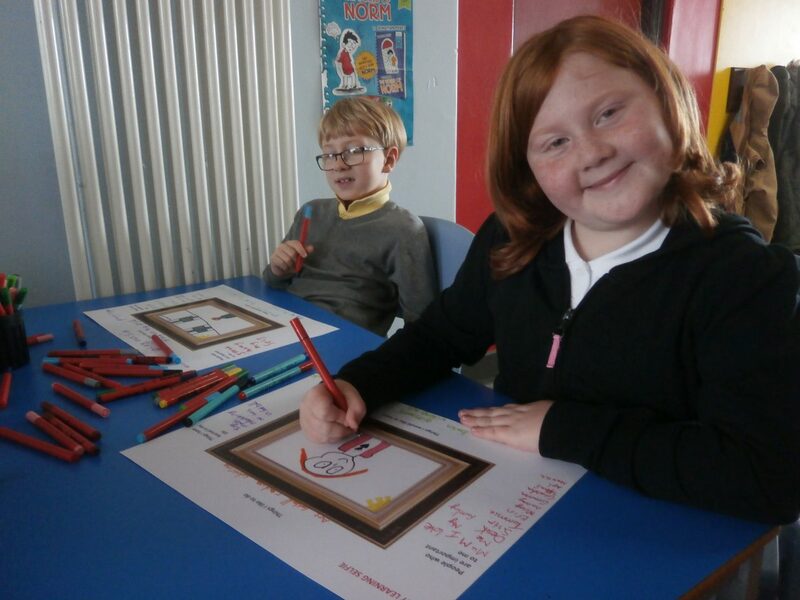 During this learning investigation children have been finding out what helps everyone do their best at school. This task emphasises the importance of environment and also relationships in creating confident learners. 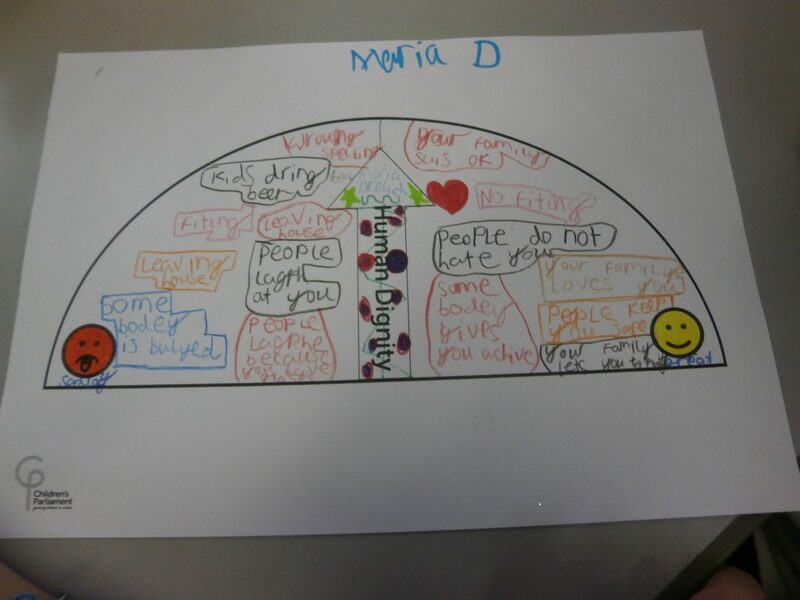 ‘We have been learning about different kinds of people when they learn. We were saying what people need to be healthy, happy and safe’ Katie. The treasure chest is full of ideas about how children learn. The treasures are written on individual scrolls and put in a treasure box. 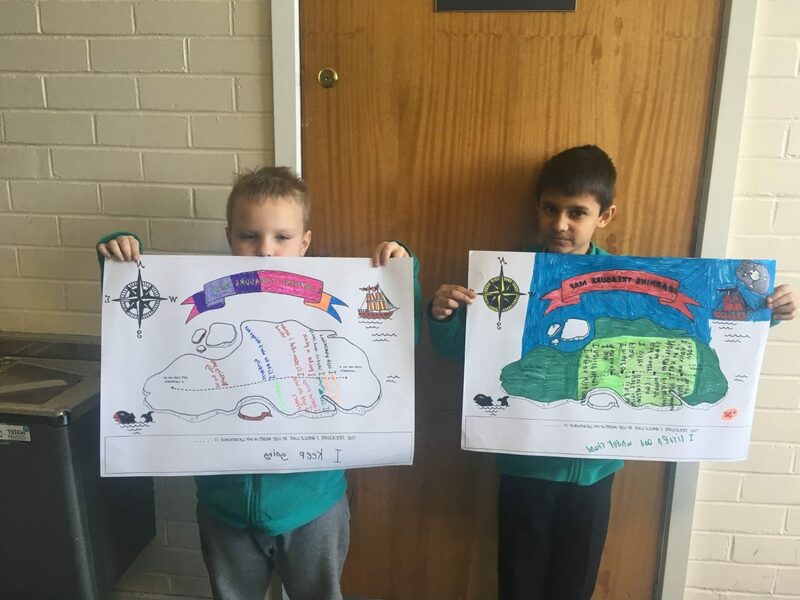 Every child is given a treasure map and they have to plot the learning treasures depending on how much they are like them as a learner. “I watch and learn is most like me as a learner. I do this when my friends do good stuff like dance and sing. I can learn, practice and then I can do it” said Maria. “What is not like me as a learner is that I can manage distractions. I do my work but then someone makes a face and I laugh. This causes me to shake and I mess up my work. I could manage distractions better if I was allowed to move tables and work on my own. Then I wouldn’t have people talking to me” said Daniel. 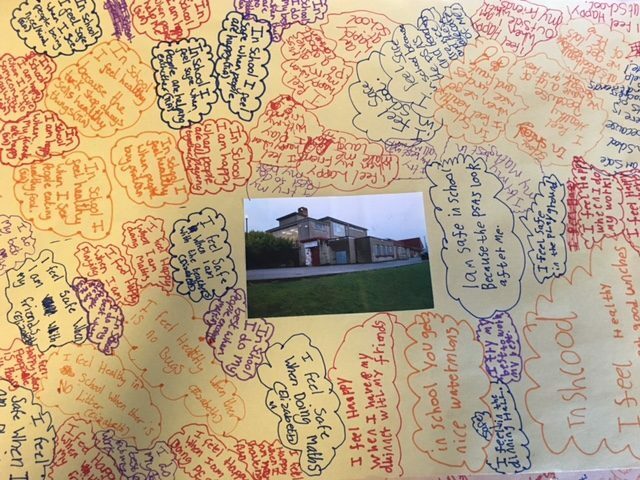 Some of the things children at Riverbank find helpful are: our friends, quiet time, reading, meditation and being able to practice. As a class we prefer it to be quiet so we can concentrate. Riverbank children also thought about what makes it difficult for us to learn and the number one thing was noise. We found that talking and people being silly distracted us and made it harder to work. Children have a right to an education, and to an education that meets their needs and helps them fulfil their potential. Adults are responsible for making this happen. ‘Going on trips with my teacher helps me learn about more things! I’d like to go to Transition Extreme to do rock climbing. I’ve never done it before but I think I could try’ Axel. ‘When I’m tried, I can’t think or concentrate and it makes me not able to to do my work. This is because I sometimes can’t sleep and so watch Youtube on my iPad until late. Going out and playing until 6pm every evening would help me sleep as it would tire me out’ Amy-Leigh. “All the children in our class can keep the learnometer on their desks. When they are feeling down and don’t have faith in themselves, they can show the teacher what is getting in the way of learning by pointing the arrow at it” Katie. 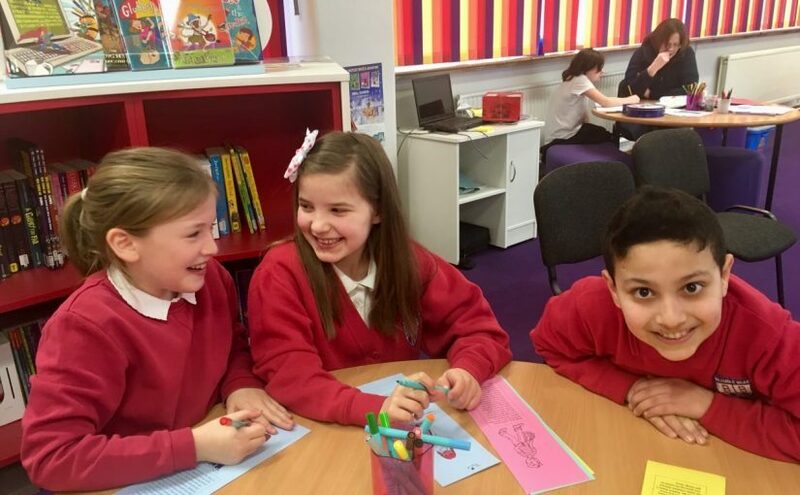 To help children think about themselves as learners they have been introduced to some learning characters who have different learning characteristics: resilient, reflective, resourceful and relationships. ‘I ask a lot of questions so I’m like Ruby who is resourceful. I ask questions mainly when our class sits on the carpet. I ask about the job we have to do’ said Youcef. ‘In maths I like to be challenged, so I have chosen Robert as he is resilient. If I’m really stuck I’ll ask questions to the teacher, like Ruby’ said Nadia. 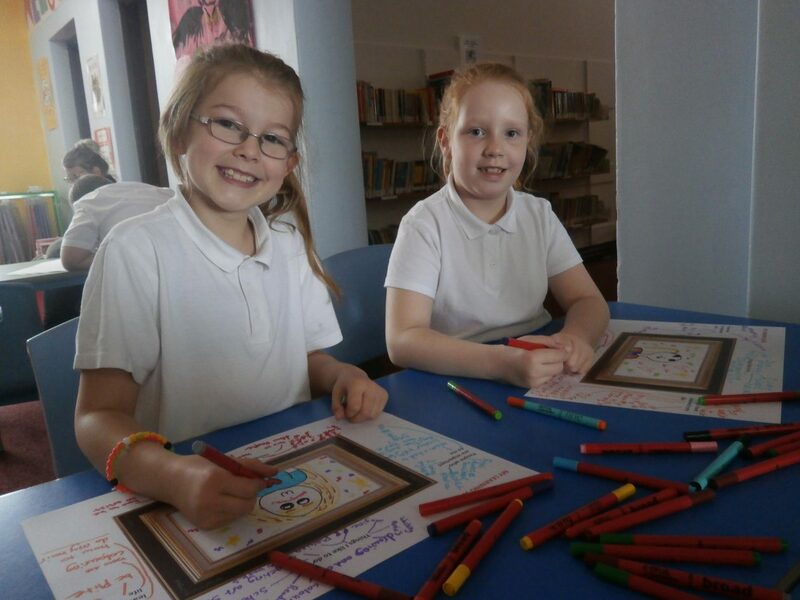 Children need learning to be fun and have important people around them to help them be good learners. Every human being is important and special. We call this human dignity. Children have rights throughout their life. The life cycle of a child activity asks children to think about what they need to be healthy, happy and safe at different stages from pre-birth to 12 years old.